The process of doing business has changed over the last 2 decades across the globe. With the opening up of the gates of free trade and Liberization in the emerging economies married with technological advances in Developed nations the business has become more competitive rather than a challenge. Challenge used to be the era for 1980 and 90’s time when setting up business and eliminating the rivals was used to be the prime game plan. Now the business game runs on theory of competitive advantage rolling over the cycles of the business phase. We often find that in the past decade and also recently business plans process fails to remain sustain in the present globalised world economy. Despite of free trade and prudent opportunities for investments ROI and ROE remains an albatross around the neck for the companies. Billions are being spent to touch the profit island but it always remains half short within the reach. Drilling hard I found that Developed nations went with their existing business models into the emerging economies and failed bitterly. The experience became so hard that next time the management took any decision for new investments they went for astrologers to predict the future. The developed nations companies just adopted a simple policy where they thought that by adopting the policy growth will be their slave. Cost Reduction and low cost of production are the policies which made them fail bitterly. Cost reduction and cost modeling will only work when your existing product is accepted by the consumers or rather it matches with the demand of the consumer. The affect of cost reduction and low cost of production will only come into force when one has rightly assessed the market and its demands. This is the prime area where the competitive advantage of an business is developed. Many of my learned friends will come up with an argument that innovation is alive and kicking the business models. I agree but where do you want to apply the innovations is the first question which needs to be heard. Product innovation should always be matched requirements of the end users. 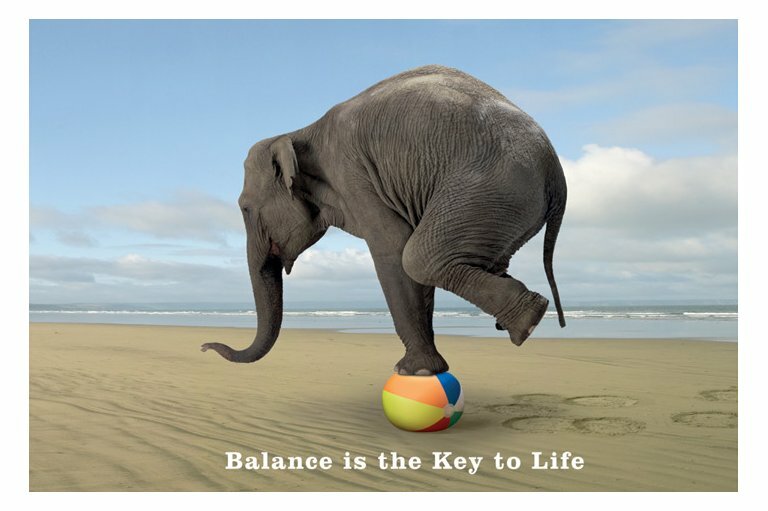 Through this one will get the competitive advantage over the life cycle of the business. To make it more simple say your innovation is really worth but has less demand in the market in all times. That innovation itself comes at a huge cost of R&D added with production cost. Hence the expectation from the product innovation and its cost increases the albatross around the neck of the company in terms of higher profitability (above normal). Companies that needs to survive in emerging economies needs to identify and access the requirements of their and then design products as well as business process. Godrej Company came up with a refrigerator for the rural market designed exclusively for the rural people requirements. Godrej changed the structure of its refrigerator for the rural market completely opposite of what the urban market consumed. Before they came up with the product they went for an market survey where they found that the minimum requirements of the cooling system in rural place was only to have storage of foods items for an day or two and just to have cold waters. Not an inche more than this, was on the demand list for the rural market. Even Godrej found that power facility was a big problem for the rural market. Hence Godrej required keeping this aspect also while designing/innovating the new product into the market. Godrej worked hard on its innovation and came up with an refrigerator designed exclusively for the rural market where they cut down on many areas which automatically reduced their cost in all aspects and boosted up profitability from minimum cost of production without an price hike but with an price cut down to 1/3 from the existing business models. The rural refrigerator did not required any compressor as required in an normal refrigerators moreover it consumes half the power consumed by regular refrigerators and uses high-end insulation to stay cool for hours without power. In the engineering process it’s required only 20 parts as compared to the ordinary models where it takes 200 parts. The name of the product is ChotuKool. Price is also within the reach of the rural people married with power saving cost at the end user. This is called innovation matched with cost modeling. Business growth will grow over the years as the innovation leads to a competitive advantage. The survey of the Godrej followed with better understanding of the markets and its behaviors helped the company not only to innovate and generate high ROI but also to fill up the gap of products. In the similar way when I drilled in other emerging nations I found some more strategic revolution in business models being developed and adopted within the process. In North and East Africa Vodafone became the leading support system through its telecom service. Vodafone hold certain percentage of in Safaricom which is Kenya's largest mobile network operator. Vodafone through its business survey found that there has been tremendous problem regarding money transfer. North and East African nations already had a system of money transfer inherently linked to the religion of Islam, known as Hawala. This also increased the cost of lending for the lenders which created a ripple effect on the borrowers. Vodafone did not introduce its most famous download and other social business platforms over there since; consumption of the same is less as compared to India in all terms. Vodafone identified well that it has to dig deep into the system to find out the real growth based innovative product. Finally they came up with MPESA.MPESA simply rode on this behavior, without trying to introduce new ones and simply made it more efficient by leveraging the mobile network to track the movement of money. The user-agent relationship remained the same while the agent-agent relationship was improved drastically. Instead of logging in transactions on a book and settling them at a later date, the m-payments system allows the agents to settle money transfer instantly. The result of the innovative product was that M-Pesa quickly captured a significant market share for cash transfers, and grew astoundingly quickly, capturing 17 million subscribers by December 2011 in Kenya alone. This is innovation based on competitive advantage. Today business process needs to be more defined so that the most appropriate opportunities comes ahead for riding the cycle of growth. Gone are the days of low cost production and cost reduction methodologies. Low cost of production will not last for long and cost reduction is not the prudent tool for every business growth. Innovation too fails short if it don’t match with the competitive advantage. Why much business process failed is a matter of small concern since they simply replicated the nations not the process neither the products. Price is a sensitive issue for any product life cycle. It destroys brand values and other core activities if price is being designed just to ride on growth numbers. Rising cost of production has forced companies to split prices into two aspects 1) Increasing the price and 2) Splitting the price and value. Increasing the price was not taken as a prudent decision since that might reduce the sales number was hitting back on the management table. Hence the only option left was to split the value and drive prices accordingly. What failed among the management while adopting this universal policy was this principal was applicable for every product and secondly competition easily gobbled up the value proposition factors. To make my statement to be very clear to my readers I would like to give a live example. When we go to any shopping mall like Pantaloon or BigBazar we buy goods and at the time of getting the Carry Bag we are being asked to buy the same for Rs.5 irrespective of the value of the goods. I remember that during 5 years back even the same shopping mall was giving us the Carry Bag free of cost. Now many will find reasons to justify among which the most common one will be price has increased. But even in 2004 and 2008 when inflation was high these shopping malls were giving the carry bags free of cost along with purchase. This is how value has been splitted and price has been introduced in a product sale. But with changing times consumers are also changing fast along with markets. Consumers not only reject the products but also the brands also collapse with pricing inefficiencies. It is correct that through Carry bag sales at Rs.5 the company might have earned some more money but at last consumers might shift which will affect the company and its brands over the long term. Companies have taken brands for granted and also prices matched with the brand to be a fixed pie. Companies have identified that they are owners of the value creation but failed to understand that value is created and built by consumers. Consumer doesn’t take an minute to dump an product and replace it with some other one in these competitive market sphere. Exploiting consumer disadvantage is the prime motive to earn money in today’s market. Banks are the prime teachers for the market of exploiting consumer disadvantages. Now I find the telecommunication companies re the new members of the same game. Companies who built Brands and values have shared it equally with the consumer and company. Billions are being spent to build a value and Brand for a product. More is being spent during the life cycle of the product. A splitted pricing policy is enough to destroy and shift the consumer from the product for ever. Focus on relationship is the most important thing for reduced cost of spending on Brand and Value creation and emphasizing more on pricing policy. Better pricing and value can be designed just from building healthy relationship with consumers. Just like if tomorrow LG comes with an policy of calling all the consumers to avail warranty service even after the period of warranty is over just by paying the money of Rs.2000 fro LED TV (currently provided by LG) will give an stupendous sales increase to the company. In other words many consumers don’t know about the current service of LG in terms of this product. Financial companies particularly the ones engaged in B2C business can derive stupendous growth just by designing prices and not splitting the same. One might take the advantage of consumer for an short time but once the theory is being proved the company will find its products being dumped. Prices should not be designed on competition based theory. Consumer centric prices are the ideal way to keep the competitive advantage of the business alive over the periods of the company. The business model of Amazon is being discussed a lot among the management schools but how many follows the same theory in real life. Pricing of products, needs to be flexible over the period of the product. If raw material prices comes down how many companies passes the benefits to the consumer is hardly being remembered. Moreover companies try to fix up one unique price for a product which will alone make them a winning horse. But different consumers have different perception towards prices hence price flexibility needs to be on the top of the priority. 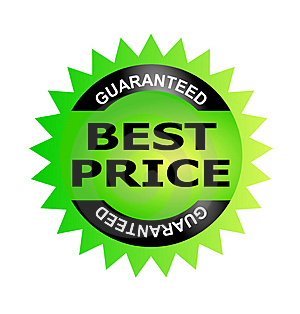 Value needs to be rightly matched with prices like in case of an computer where even of the best price if after sales service remains an draw back profits are bound to live for an short term. Pricing needs to be transparent so that consumer disadvantage is not being taken into the business process of making revenue. Banking is the biggest example which fits well into the picture. Companies should treat consumers as an part of their product then only revenues will grow despite of any economic down turn or any other economical factors damaging the price or product life cycle. Companies should try themselves as benchmark of product value and price rather than becoming short term profit generators. Companies often find that their product are being dumped after an short time frame where the burden of the failure is being thrusted upon the product life cycle and another fresh millions are being spent for new product. Companies fail to identify that their price made their product replace from the market space. Despite of healthy branding and marketing the product dies before it could flourish. Pricing plays an very important role in deciding the fate of an product over the life cycle of the product itself. Companies need to understand that pricing needs to be a part of consumers and not for generating revenues. Revenue is the byproduct of consumption derived from consumers. Moreover if your price and value are not matched efficiently then in today’s competitive market companies will find very difficult to survive. China Slow Down a Game Played by US and Europe. Private equity position in India market is quite well known to everyone. In simple words they are struggling to get deals where they could find the horse of profitability doubles in every game. In an recent study in my research I find that the second largest economy in the world is too struggling with Private Equity. In India it is quite hard to find out the number of Private Equity players since every passing few takes birth and few dies. Prime reason is data bases management in which India ranks one of the lowest. China had more than 10,000 venture capital and private equity firms at the end of 2011, according National Development and Reform Commission (NDRC).Moreover those companies managed nearly 2 trillion yuan ($313.9 billion) in assets. The number of VC are on the increasing mode despite of the much acclaimed that Chinese economy is slowing down. Well when an economy slowdown how numbers of VC jumps by 34% in 2011 compared to 2010 leaves many of us to doubt about the real meaning of lows down. If an economy slows down, then it is reflected in the investment numbers and also on the assets being managed by the VC segment. But unfortunately according to the NDRC reports that the value of assets managed by these 882 firms had increased by 41.5 percent to 220.7 billion yuan ($34.6 billion) at the end of last year(2011). Moreover, yuan-denominated private-equity funds have raised $41 billion in the past two years, which is more than double the U.S. dollar amount in China. This clearly shows the depth of local based VC funds preference. At the same time the shift of investors using Chinese currency has resulted in a 45 percent drop in investments by foreign funds in 2011, even though the value of private-equity deals has doubled since 2009.To put it in simple words Foreign capital hardly finds way into Chinese market since China itself is sufficient enough to open shops for VC. The ongoing slow down in Europe and US has left few options for the global Private Equity to find profitable investments keeping in mind the exit option through IPO. Since exit through IPO in US and Europe is less profitable as compared to China, many foreign shops are opening their shops in JV with Local Chinese VC firms. In my research I found that A Capital a Beijing-based European private equity firm which did predominantly investments in Europe is now scouting for investments opportunities in China andtrying to rise up to 500 million euros ($613.6 million) from Chinese investors such as ChinaInvestment Corp, the country's sovereign wealth fund for doing investments. Well apart from VC Chinese stock market is well attracting inflow of capital. Qualified Foreign Institutional Investors in china are buying China’s stocks at record low prices, increasing their portfolio with net capital inflow of 8.77 billion yuan (US$ 1.4 billion) within the past two months. In my research I found that QFIIs raised 8.77 billion yuan investment in China since June to July 27, equivalent 84 percent of accumulated net capital inflow QFII had in the first six months this year. RQFII, at the same time, enhanced 4 billion yuan (US$ 0.63 billion) in China’s A-share market. I still doubt about the slowdown of the Chinese economy. I find the slow down story to be cooked in order to keep equal parlance with the US and European slow down. Moreover even if China slows down to 7% GDP it is still way above the US and Euro zone GDP growth. This simple revels that slowdown is buzz is more cooked by the Foreign countries of China just to attract the flow of capital into their own bond buying proposals declared by Euro and US. Well this is further proved by the Statistics from China’s stock regulator reveals that in the first half QFII only saw 225 million yuan capital outflow in January, while remaining five months QFII enjoyed a net capital inflow respectively and sustainably, with accumulated net capital inflow of 10.4 billion yuan. 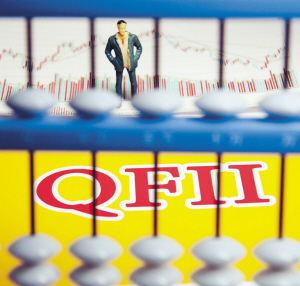 QFII’s net capital inflow, nevertheless, soared to close 8.77 billion yuan in June and July, or 84.18 percent of accumulated capital inflow QFII enjoyed in the first six months. Slow down is just a game for China and an strategy to degrade China by US and Euro zone. Both parts of world are well proven expert player of the global financial system. In coming months Chinese markets will find further stupendous inflow of capital since there are 147 QFIIs to gain the approval from State Administration of Foreign Exchange (SAFE) along with the QFII investment quota grew by US$ 1.17 billion in June. One will argue that according to the recent data FDI inflow in china has dropped. If an economy is well sufficient for funding and where local players are big enough and preferred most for investments does FDI drop in china really affect? I doubt and I hope you doubt too. Indian economy has been recently downgraded by global rating agency. Well that is the half hearted knowledge being carried by one simple investors, broker and among the financial community.Well why half hearted and where are the loopholes between investor awareness is the obejective of the article. We find investor awareness programmes being designed exclusively designed for upgrading and reducing the gap of knowledge epidemics. Well that is an excellent effort being adopted and carried ahead but we need to understand the ways things are being read and interpreted. Rating agencies are the organizations who are exclusively take the responsibility of deriving valuations and rankings to financial products. In fact they guide us which product to buy and which one to go for the waste bin. That might sound hard but the truth is that many rating companies might have engaged themselves into some partiality projects which has been in the lime light during 2008 crisis. But that does not mean that rating agencies are only engaged in foul practices and their valuations are only biased. In an economy like India where prevention is better that cure is being sung, rating agencies carries the highest level of security in financial markets. But many of my readers will jump up that in IPO segment we have found rating agencies best grades of rating failed to fill the pocket of the investors. This is the place where the variations of understanding and interpretations of rating agencies various matters come into active play. Grading of IPO by rating agencies don’t interpret that on the day of listing they will shoot up with a premium. The date of listing and market sentiments are the vitals that play their cards. Rating agencies are not the guarantor for the performance of the listing prices. On an average basis all rating agencies does valuation of IPO grading upon assessment of the fundamentals of new public issues. It includes an assessment of business and financial prospects, management quality and corporate governance. It does not take into account any monetary valuations of listing of the IPO. More over governance and investors protection issues are the most highly demanded aspects being adopted and followed by the rating agencies. Now imagine that you don’t have an rating system and the individual investor decides to do some investments but have no idea about the ins and outs of the company as well as of the business. He will ask various people and will hot around the walls and pillar to get an idea about the company. This will taken an as an opportunity by various people due to no rating agency and various people will influence the investor from various angles. The situation becomes more difficult in absence of a proper rating agency. Rating agency is a compass and not a map or direction. Disclosure norms are another most important aspect of guiding the investors. Companies finds annual general meeting to be one of the prime platform to discuss about companies health. Now as the meeting is being held once in a year and subject to many constraints, investors depend heavily over third party report. Now imagine that if an company come up each quarter with an meeting with its investors then imagine the prospects about the companies investors and their change in investment attitude. Investors will depend less on third part reports which are biased towards companies. This will also reduce the gap between the companies to come up closure to the investors which will help the companies to develop a relation with its investors over a long period of time. Even open discussion platforms can be arranged by the companies to derive ideas from the investor’s community. Many prime management decision and polices can be framed from investors meet once the companies start sharing the matters. Now a question will come about leak of secrecy of business process. Companies can design their discussion in accordance to the limitations of the annual report which itself is self sufficient for making the investors and companies bonding to be strong enough. In these terms SEBI can also come up with its code of meetings where companies will open the gates for investors to share and discuss as well as improving better governance. Investor awareness issues will get a better way to improvise as well as third party biased products will find its way out of the market. Moreover third party reports are designed and commented according to individual process which will not align with one another, causing more trouble for the investors to decide on investments. We will find that one company is getting different valuation reports from different parties since every one has a unique process of deriving the valuations. Moreover reports are biased from market whispers too which makes the report more non reliable. Many well valued companies’ gets negative rankings from third party companies due to negative whispers. Even often valuation metrics fails to derive the true valuations of companies which lead to more fiasco within the investors. Companies should understand that depending on third party reports are no longer safe. Now my friends must confuse with ratings and disclosure. Well rating is being predominately done by expert of the industry who under the SEBI guidelines adopts the method of ratings, whereas valuation is just an open space done by broking companies predominantly. Ratings Disclosures does not ask only abiding compliance, it goes beyond that in today’s intricate financial markets. Companies needs to understand that if their business processes are sound and stable over a longer period of time companies needs to bridge the gap with investors and eliminate the third party reporting system. Building investors awareness should focus on these factors of strengthening the corporate governance mechanisms. We find companies are aggressively expanding their business and needs capital to do so. Private Equity comes into most of the cases where exit is based only on stock prices. Companies depend upon third party reports to increase their stock prices for making a way for the PE to exit. Now just imagine that if the same company comes in close interaction with the investors and not with the third parties just imagine how much successful the companies will be term of stock price appreciation. They will get better place to communicate their business plan to the investors which will help the investors also to understand the growth prospects being envisaged by the company. Disclosure to bridging the gap between investors through proper communication does not mean display of business secrecy in the open market. Only new financial disclosure norms will not be sufficient. We need companies to come forward and innovate new avenues for bridging the gap between investors. It high time that in these turbulent times, PE is just winding up their business due to poor performance of equity market despite of investments being made in a quality company. Hence companies need to come up to build investor awareness. In coming days we will need investor communications and not investor awareness. The times of awareness are over since information is available on internet, Indian needs investor communication beyond the traditional methods. Recession to be treated as opportunity needs visionary eyes to envisage the same. But very few people have such eyes to identify such jewels of opportunities. European recession has been identified as an opportunity for investments by China. 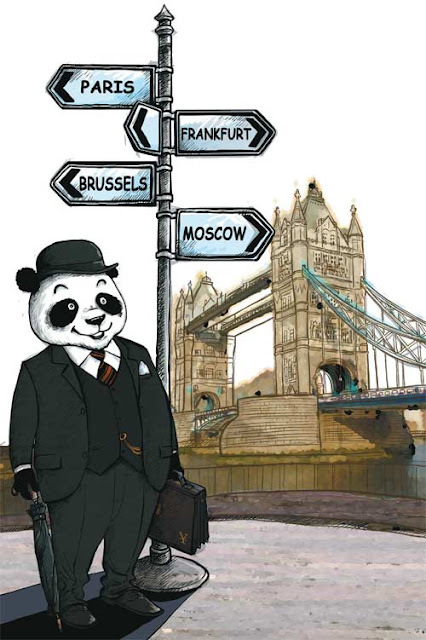 Chinese banks are expanding their business and networking in the UK and in Europe and which have made the establishment of a UK subsidiary a priority in their European. Even some big banks of china are opening up their shops in Europe like the Agricultural Bank of China Ltd (ABC), a major commercial lender ranked among the Big Four in China, is about to open its overseas subsidiary in London, a milestone in its history. The London subsidiary will concentrate on wholesale banking, including corporate deposits, syndicated loans, bilateral loans, trade financing, international settlement and foreign exchange settlement and transactions. In last November Bank of Communications (BoCom), China's fifth-largest lender, meanwhile, opened its first overseas subsidiary. China Construction Bank which has a strong hold in UK which delivers a range of banking products which includes corporate deposit, loan, trade finance, commodity finance/ hedging, and sterling clearance is also expanding into wholesale, retail and investment banking. The dumping prospect of the European banks has forced to cut bank lending’s which has been picked up as an opportunity by Chinese banking segment. Moreover customer confidence seems to be very strong with Chinese banks since European banks are on the verge of collapse and much benefit are not being expected from their end. Digging further I found that China is beyond an opportunist since its main aim is bigger which aligns with its economic core values. Being the second largest economy in the world Chinese financial system has little connection with the global financial system. Look into deep we find that China’s international investment portfolio holds a very small percentage of global stocks, where FDI and international portfolio assets and liabilities are a meager percentage less that 3% of the total global stocks. Comparing this with its forex reserves we find it accounts for about 30% of global stocks. This is the prime reason behind china to open up its gates up for international investments and diversification of its resources. This one of the rime reason why Shanghai and Shenzhen, are reaching out to the financial markets of the tow leading centers of Hong Kong and Taipei. This also serves the main reason behind China to covert its renminbi into an international trading currency. The justify the fact I find that the renminbi is now the third most used currency in the Hong Kong market and accounts for about 10 percent of total banking deposits. China's middle class and the rising number of SMEs development of the bond market and the asset management industry in the internal states of China will open up more opportunities for investments and diversification of resources I find china has adopted two fold strategy to carry ahead toward the next decade, the first is diversification of assets and resources into the international markets and second practice the same strategy within its own economy. For this I find their will be a huge integration between Hong Kong, Taiwan and Chinese Mainland since they are the back bone of the Chinese economy. Without their integration Chinese upcoming visionary goals will not be achievable. At the same time regulatory aspects will become more stringent in China mainly driven by Hong Kong since its has a well developed regulatory system. Developing the other domestic markets of china will be one of the key growth drivers of the Chinese economy and key source of double digit economic growth. In between Mainland China has huge potentiality to merge within two states like Hong Kong financial markets. The next decade china will be busy in formulation of all these options to derive its economic growth. Chinese reform policy has every time being mixed with political challenges married with market driven growth strategies. Converting the Renimbi into an international currency and trading too needs more homework like development of the bond market to the interest rate and exchange rate reforms. Once these come into place china will emerge as a huge economic financial power house which will help the world economy to grow showing new path of expansion. Time should not be taken into account since good things takes time and the transition phase of Chinese economy needs slow and gradual steps and not an overnight game plan.